Although the designs featured are a starting point, all of them can be customized to some extent based on the owner’s specific requirements. 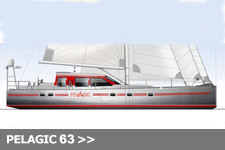 Bespoke projects for bigger vessels are also possible, both power and sail. 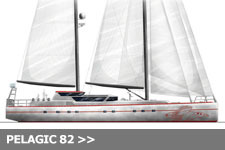 All our design proposals include concept drawings, lines plans, sail plans, GA’s, construction plans and systems schematics. Part of the design process, a full specification is provided that a builder can accurately tender on. This can never be too detailed. With our extensive knowledge and network of builders worldwide, we can obtain tenders from a variety of construction facilities taking into account currency fluctuations as a major consideration for a cost effective build. In the critical design and planning stages, and then onsite at the constructor’s facility, we can provide guidance throughout from contractual engagement with the builder to sea trials and delivery. 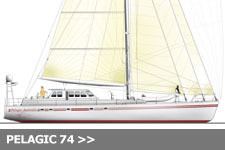 Adaptations for expedition style cruising are possible with the correct knowledge base. 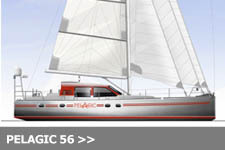 We can provide advice and guidance to help clients make the right choice for purchasing an existing vessel and then project manage appropriate modifications.